Use the form below to inquire about Heritage Fort Resort Stay At Nalagarh . Use the form below to reserve for Heritage Fort Resort Stay At Nalagarh . These spacious rooms have a queen size bed, attached balcony, and a writing desk. Air Conditioned Room, Free Wi-fi Internet Access, Hot and Cold Running Water, In-room Refrigerator, Intercom, Laundry Service, Private Balcony/Verandah, Tea/Coffee Maker, TV with cable connection in each rooms. Air Conditioned Room, Free Wi-fi Internet Access, Hot and Cold Running Water, In-room Refrigerator, Private Balcony/Verandah, Tea/Coffee Maker, TV with cable connection in each rooms. Air Conditioned Room, Free Wi-fi Internet Access, Hot and Cold Running Water, Laundry Service, Spa/Wellness, TV with cable connection in each rooms. 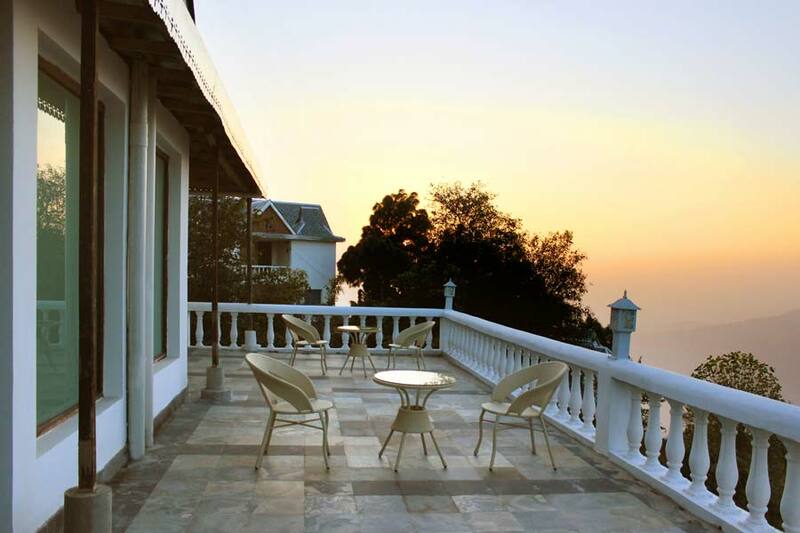 High on a hillock, over the Himalayan peaks, this Heritage Fort Resort Stay at Nalagarh speaks of the might and splendor. A Chandela king with an immense passion for art and architecture constructed this magnificent Heritage Fort Resort Stay at Nalagarh in Himachal many centuries ago. 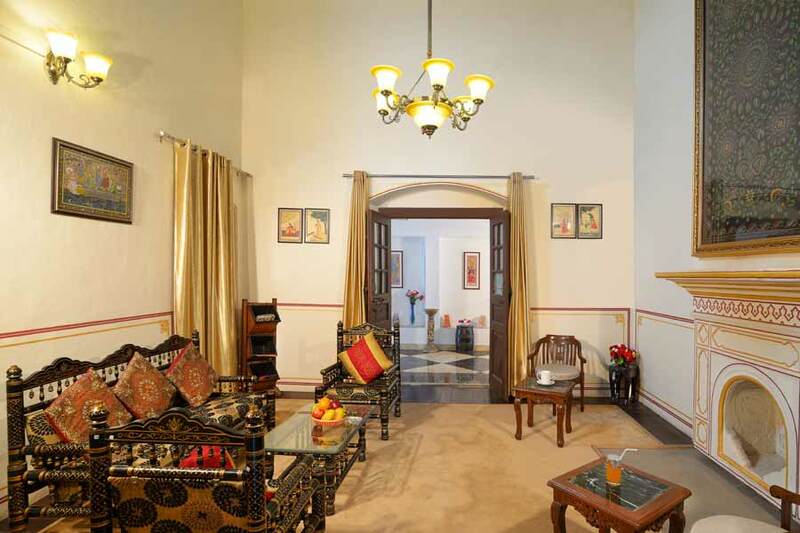 This Heritage Fort is a paradigm of Indian royal might, with a picture perfect location. 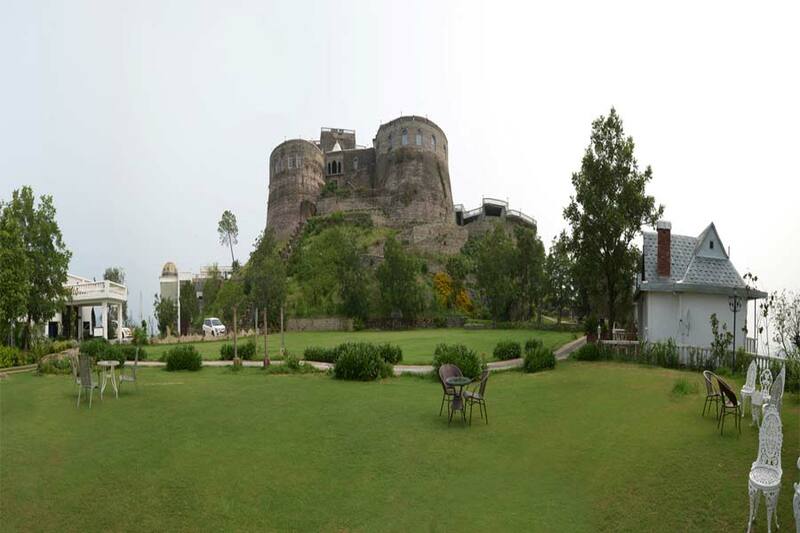 The fort’s immense height make the views of the breathtaking Shivalik Hills and serene Sirsa River priceless. The fort is perched 3,900 feet above sea level proving the perfect spot to experience the 360-degree panoramic views of Nalagarh. The exterior of this dramatic Heritage Fort Resort Stay at Nalagarh is a cocktail of many architectural styles. It is amazing how the Royal Mughal style, grand Hindu elements, and elite British nuances are seamlessly woven to put together a glorious and lofty fort.Rooms and suites at this fort resort are decked up royally in regal themes. Guests can experience aristocratic resplendence of the past together with opulent modern-day creature comforts. Whatever may be the theme of your choice for this regal stay, a captivating narration about that theme will be arranged for you by the resort. Every room has its own theme and story. So every time you finish a holiday at this resort, there is always a new experience awaiting you on your next visit. 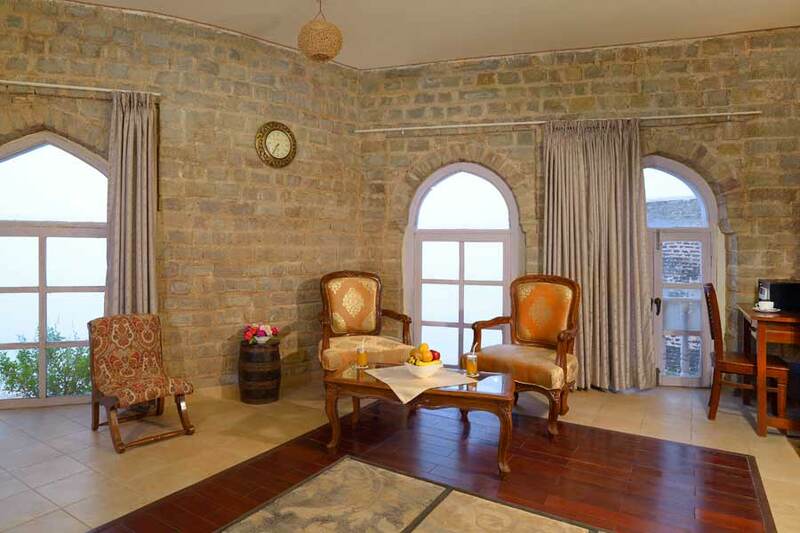 All 30 rooms in this Heritage Fort Resort Stay at Nalagarh are strategically spread so as to soak in views of the forests, village, and the valley. 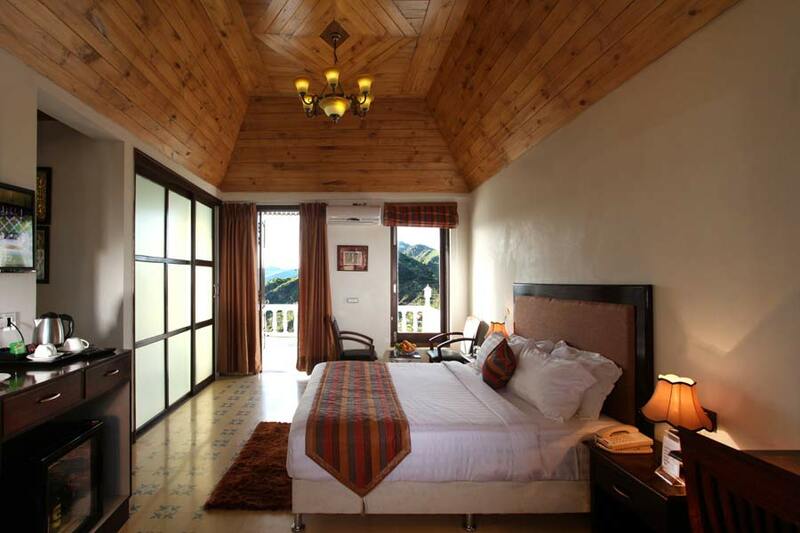 Each room has a patio deck which opens up to the spectacular charm of the hills. The Royal Suite, gilded in gold leaf molding, antique kingly furniture, period four-poster bed, and modern amenities like twin Jacuzzi, is a royal romantic setting. With a drawing room and sitting area that are decorated with exquisite drapes, this room oozes luxury. 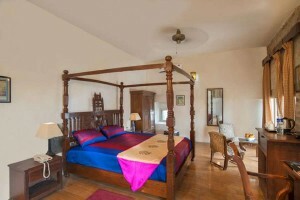 Other themes are the fort room, forest view room, garden room, and Maharani room to name a few. 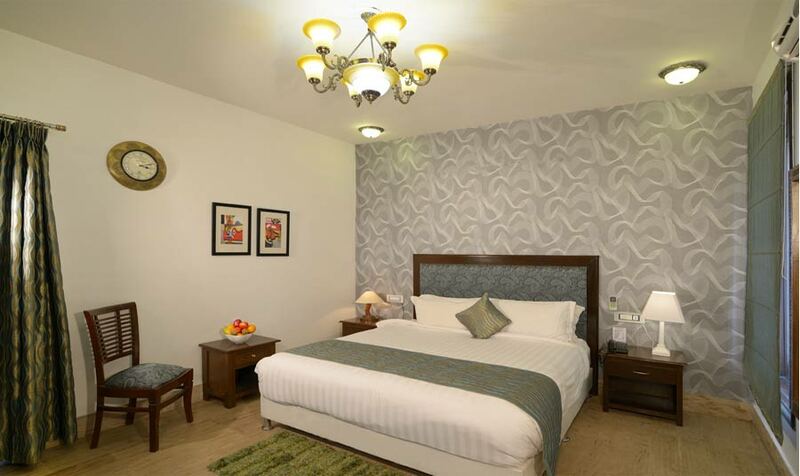 Guests can avail hypoallergenic bed linen, comforters, pillows, and bed covers on request. There are three restaurants at this resort, each one competing with the other to offer you splendid ambiance and heavenly delicacies. The spa and salon offer a range of services including Balinese massage, Swedish massage, and spa therapies. The roof top pool at a height of 3,900 feet above is a dramatic setting with bird’s eye views of the entire town and mountain ranges. Stay for children below 6 years complimentary. Usage of indoor and outdoor facilities. Guided fort visit: 10- 12 noon or 5 – 6:30 pm. Children between 6 to 12 years with extra bed will be charged separately. Check-in at 12 pm and check out at 11 am. Conference hall complimentary with 10 rooms. Clubhouse although is charged however complimentary as a special case. Rooms will be confirmed on receipt of 50% advance and subject to availability. The remainder of payment to be paid at the time of check out. Outside liquor is not allowed on the resort premises. Corkage charges Rs 200 per bottle. Effective 2nd October 2008, the Government has introduced a "No-Smoking" legislation for hotels, restaurants and all public places. As a consequence, smoking is prohibited in all parts of the hotel except in designated bedrooms where smoking is permitted. The hotel has dedicated smoking guest bedrooms. Should you desire a smoking bedroom, please let us know. We shall endeavor to reserve a smoking bedroom for you, subject to availability. One child between 00 and 12 years of age can stay in parent’s room without any charge. Two children between 10 and 12 years of age would require an additional room. Children between 13 and 17 years of age would require an additional room. Reservation must be cancelled 15 days prior to the planned date of arrival. One night’s stay will be levied for cancellations received upto 8 days prior to arrival. 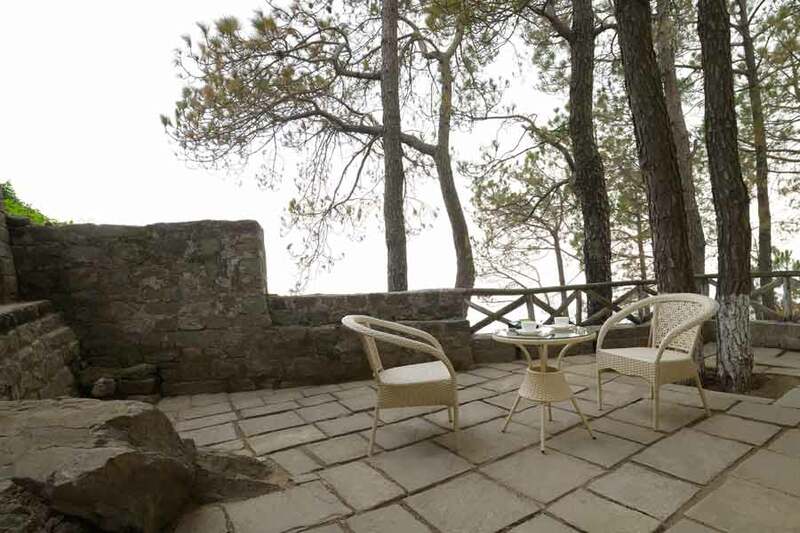 Enjoy outdoor lunches in the company of unmatched scenic drama. Find a nook to curl up with a book from the well-stocked library. It is difficult to pick a favourite dining area in this resort. 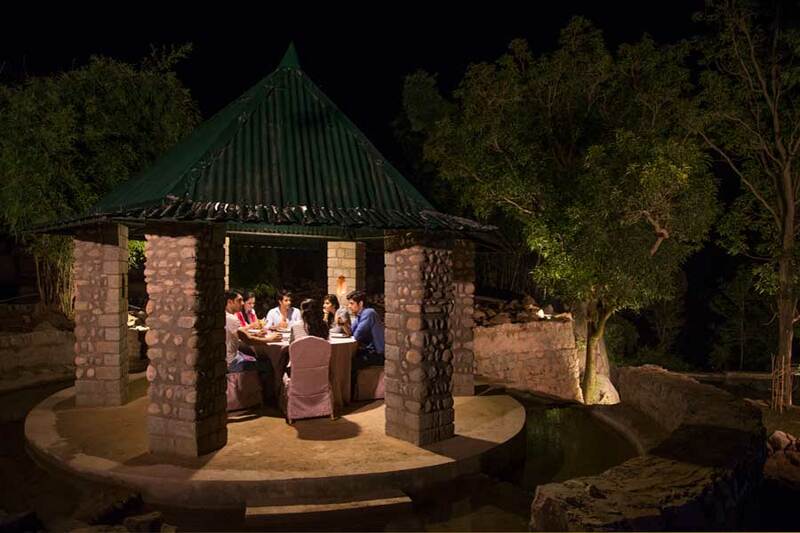 Be it the roof top dining space soaked in mountain views, the restaurant by the towering rock walls of the fort or the chic indoor restaurant , all of these joints serve popular lip smacking dishes from around the globe. Enrol yourself at the spa with a Balinese Massage, a Swedish massage, a deep tissue massage , aroma massage , foot reflexology massage, or a head and neck massage. Diet programmes are teamed up with the spa services to give you a holistic experience. 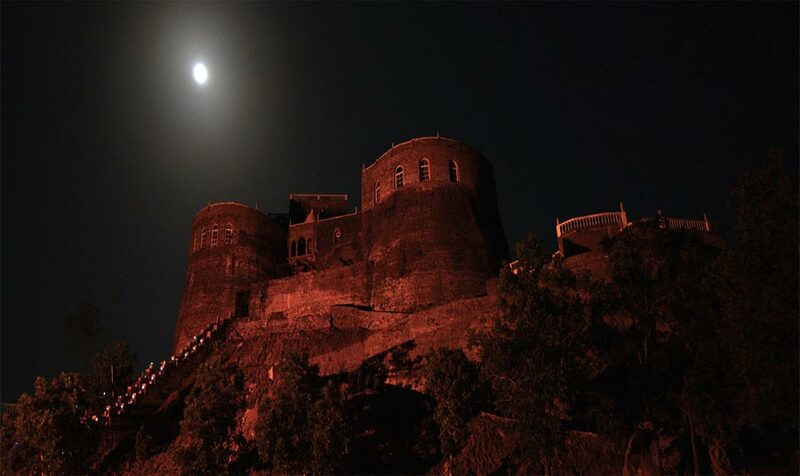 This prestigious fort has played venue to many brand launches and kitty parties. Bonfires, dancing, and casual interaction conducted by the resort leads to great social bonding. 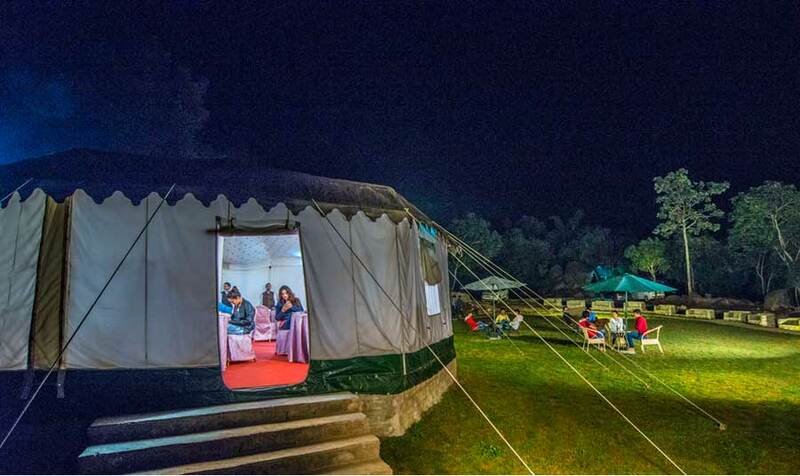 Various indoor activities such as games, painting competition, Antakshari, cooking classes , cultural programmes, movies at mini theatre can be customised according to the wish of the guests. 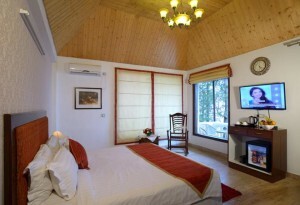 Outdoor activities that can arranged are trekking to Potters Hill , nature walk to Kufri to Fagu, fishing at Tirthan Valley , golfing at the famous Annandale and Naldera golf courses , village tour , bird watching , picnics in the Seog Forest , and tea at Carignano are a few experiences to cherish as you return from Shimla. A tour of the old forts of Solan and Bilaspur districts can be arranged if requested in advance. The prominent tourist attractions near Shimla are the Vice Regal Lodge, the State Museum, Jakhoo Temple, the Mall, Maria Bros, the famous shop book shop, hot sulphur springs at Tattapani, lower bazaar, and antique stores . The nearest airport to Shimla with frequent air service is Chandigarh. Chandigarh is around 115 km from Shimla (appx 3.5 hrs). From Chandigarh airport, drive towards Panchkula and take NH5. Drive on NH5 straight until Shimla Town. From Shimla, head to Solan on MDR9 till you reach Nalagarh.